There is a scene in Jackie where the very recently and violently widowed Jackie Kennedy cannot remove her wedding ring. It is very brief, not laboured at all, but for me it was one of the most significant moments in the movie. Once you become First Lady it is something that you cannot get away from and is a role based on the achievements of your husband not yourself. This doesn’t mean the same thing as it did in the 1960s, Michelle Obama has probably done more than anyone else to make this a role in its own right (to take nothing away from Eleanor Roosevelt who did remarkable things after holding the title and Hilary Clinton who came so close to being President herself) but the whole idea of it remains a throwback to a more sexist time. Certainly if you look at photographer, literary editor, ambassador, political campaigner, advocate of the arts and culture and mother Jacqueline Lee Kennedy Onassis, she will forever remain most famous for her first marriage and the horrid way in which it ended. This film goes some way to addressing this but only some way. Director Pablo Larrain, writer Noah Oppenheim and producer Darren Aronofsky could have gone to great lengths to make this a feminist parable but that is not really what they have done. Jackie Kennedy’s greatest legacy is arguably the example of dignity she demonstrated in the face of her spouse’s murder and rather than chipping away at this the film makers have decided to cement it. The fact is that Jackie will forever be linked to JFK and the events of 22nd November 1963 and rather than fight this they have decided to celebrate it. Jackie is not a biopic, concentrating as it does on less than a year, and essentially only a few days, in the life of this woman. The film moves between a handful of different times; early 1962 when she filmed a documentary giving a tour of the White House, late 63 in the days around her husband’s death and briefly at an unspecified in between when she hosted a gala reception. The woman depicted here is mostly the numb, grieving, angry, fragile and brave person who had to deal with some unimaginable events with the eyes of the whole world upon her. Natalie Portman’s portrayal of this is superb and is no doubt the main reason to see the film but around this is a fascinating examination of a woman’s strength when she feels at her most weak. The film and its protagonist are very interested in history and how events are recorded for posterity. This is a particularly interesting notion related to JFK because history (one of the most patriarchal words in the English language) is still unable to give a definitive answer on the circumstances of his assassination. What is unarguable is that Kennedy’s presidency is considered one of untapped potential. His greatest achievement was probably the way he handled the tensions with Russia, Cuba and Vietnam but he is also remembered for the promises he made around race relations, space exploration and control of nuclear armament. The assertion made here is that Jackie Kennedy’s actions following the fatal shooting were instrumental in securing her husband’s reputation as a great President despite him only being in office for two years. 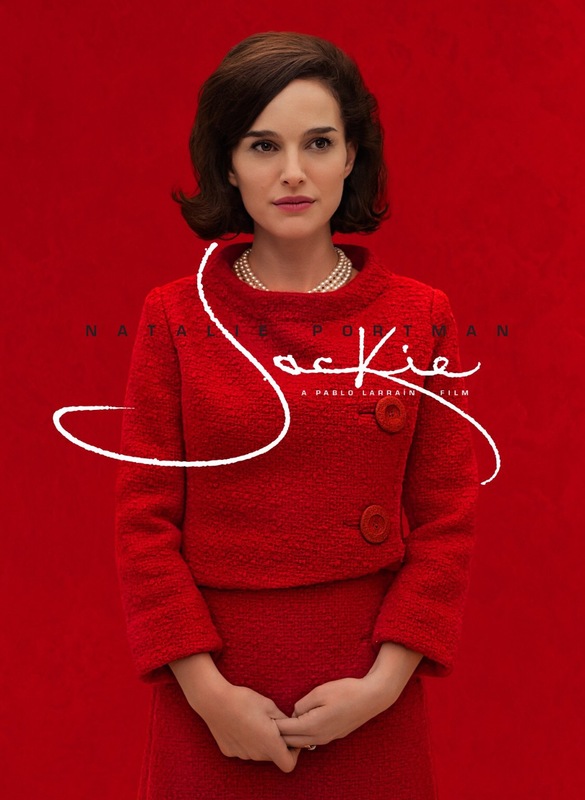 Jackie is a very good film with a brilliant central performance. Portman is given good support by Peter Sarsgaard, Billy Crudup, Greta Gerwig, John Hurt and Richard E. Grant but all of them seem to be playing it subtle so as to let the film be hers. Its feminist message is reserved but probably the more realistic for it (although it did jar seeing so many male names come up in the credits after such a female focussed film). It isn’t the type of thing you’ll want to watch again and again but it is impressive. “Violently widowed”, now there’s a description, lol! That’s true; I was a bit taken by surprise when they showed the assassination to be as bad as the Zapruder film showed.